Although helicopters are mechanically complex, requiring pilots to have superior navigation skills, they are also able to do things that airplanes cannot. They can take off and land vertically, as well as hover, making them vital for military operations. They were first deployed massively during the Vietnam War, where the UH-1 “Huey” led to the conflict being known as “the helicopter war.” Helicopters also provide life-saving services such as rescuing stranded people, transporting critically ill patients, extinguishing wildfires, or evacuating residents in cases of natural or humanitarian disasters. Despite the growing prevalence of drones, manufacturers believe the helicopter is here to stay. Currently, drones are unable to fly for extended periods or carry heavy loads, and many missions still require crews, therefore, helicopters are still often essential. Helicopters are also evolving. 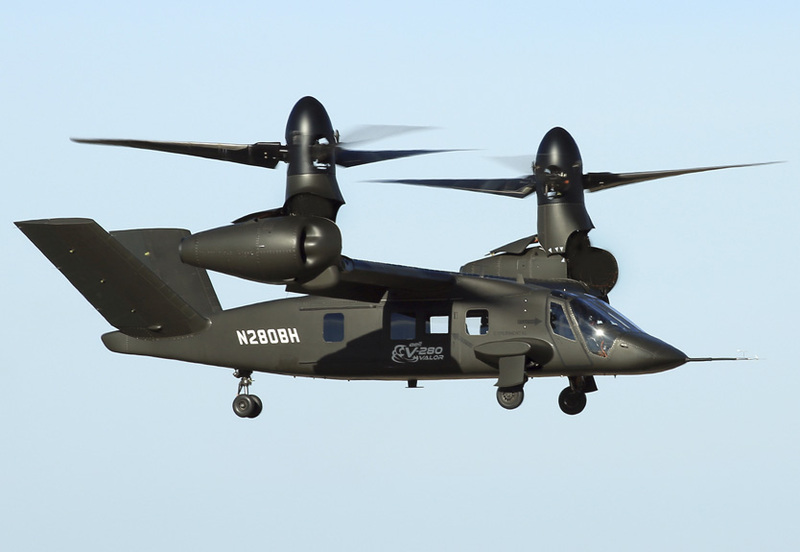 “X2” technology, being developed by Sikorsky, and the V-280 Valor with “tilt-rotor” design, which is being pushed by Bell, are both examples of helicopters trying to overcome helicopter‘s intrinsic shortcomings, such as limited top speed. The speed of a helicopter is limited by the way it flies. Airplanes achieve lift by air passing over the aerofoil shape of its wing. A helicopter, which depends on its blades that work like a revolving wing, encounter problems in forward-flight since airflow over the blade advancing into the oncoming air is greater than over the blade that is retreating. The result is an uneven amount of lift, which is compensated by adjusting the angle of the rotating blades in order to obtain an equal amount of lift on both sides. Once speeds exceed about 174 mph, the increasing angle of the retreating blade will result in a “stall“, producing no lift at all, which could cause thehelicopter to vibrate and flip over. A tilt-rotor would resolve this problem with counter-rotating rotors mounted on wings, which would transform a helicopter into an airplane for faster forward flight, by tilting the rotors forward, and then back to land and take-off vertically by pointing the rotors upwards. Bell‘s V-280 tiltrotor can cruise at 280 knots and has a range of almost 1,500km, even when carrying a four-person crew and 14 fully-kitted combat troops. The V-280 reduces the amount of weight that has to be rotated by keeping the engines in place and tilting only the driveshafts and rotors. The design could potentially be scaled up to produce much bigger craft, says Vince Tobin, Bell’s head of Military business. The V-280 will be “pilot optional,” though some may prefer a pilot in the cockpit “If picking up a downed pilot in a hostile situation, they’ll take any ride out, manned or unmanned,” says Mr. Tobin, a former US Army helicopter pilot. For civilians, tilt-rotors could provide transport from rooftops to heliports, thereby avoiding busy airports. Sikorsky’s X2 system uses two mounted rotors that turn in opposite directions and has a propeller at the rear to push the helicopter along much faster. Also, the four blades on each rotor are much stiffer so that the rotors can be placed close together without the blades colliding. Therefore, the retreating-blade stall is overcome at high speeds since a blade always advances in the direction of travel on either side of the helicopter to provide a balanced lift. This also makes a helicopter faster and more maneuverable, as well as quieter since the rear propeller is used for the forward thrust, enabling the rotors to run more slowly, according to Chris Van Buiten, head of Sikorsky Innovations. The company is working on two versions: the S-97 Raider, which can carry six passengers and fly at more than 400kph. Another model is being developed with Boeing, the SB-1 Defiant, which will begin test flights later this year and can carry a dozen troops.